When her teacher informs the class that Duchess, the school cat, is missing, Gracie jumps right in on the case. She is used to snooping around, but when she finds a message in the window of an old, abandoned house, she thinks it's a little too freaky. BUT ... they don't call her 'Super Spy' for nothing she decides she is not going to be scared away. When she finds more mysterious things going on in the old house, can she get anyone to investigate with her? A must-read for humans of all ages, this middle grade novel grows up before your very eyes. 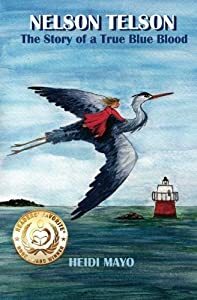 Painfully shy and lonely, eleven-year-old Mariah Miller hates being a human; she’d rather be an animal so she wouldn’t have to go to school and deal with mean old Mrs. Tarbox and her nasty cousin Travis who has invaded her life. Enchantment abounds when she finds a magic spearhead on the beach that allows her to talk to a wise old horseshoe crab and a host of other animals. Her father becomes seriously ill, and throughout her trials in the real world, she is often surprised by the unpredictable power of the spearhead. As she travels through time and space, and listens to the wisdom of creatures and people, Mariah makes leaps in her own personal growth, discovers the interdependence of all living things, learns how perspective creates reality, and what it really means to be human. Lucy discovers freedom, magic, and an extraordinary friendship, her first ever, with a surprise visitor, nine-year-old Will, who, bewitched by her wild eyes, long black hair and strange speech, brings her live chickens to give her eggs, food daily, and a recorder to imitate the wood’s sounds. 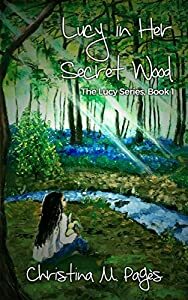 Lucy feels safe and at home for the first time, sleeping inside grandpa tree’s hollow trunk, and playing woodland music during the day that puts a spell on all who hear it. Lucy’s greatest fear is that she will be found. But the police do eventually capture her and take her to an orphanage run by strict nuns where the bullying and fascination for toys and television seem strange to Lucy who sees this man-made world as another prison, cut off from outdoor miracles. 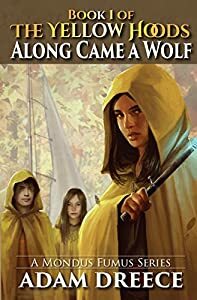 She eventually manages to escape back to the woods where she and Will, inside grandpa tree, experience magical guidance on how to continue their journey. Book 2 will be: Lucy and the Forest School of Wonder. 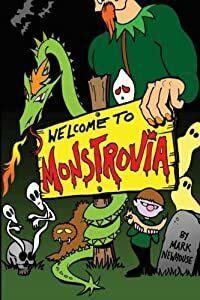 Children love the crazy adventures as they learn about the law and courtrooms in this first book of a middle-grade fantasy-comedy-mystery series that keeps them guessing with every page, Brodie Adkins is thrown into the wacky world of Monstrovia where he encounters flying serpents, deadly giants and a monstrous murder mystery that only he can solve! In Monstrovia, anything can and does happen! Kids of all ages won't be able to put it down until the hilarious surprising ending. 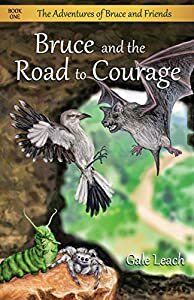 Join the adventure as related by award-winning author Mark Newhouse from the diary of Brodie Adkins! Book 2: The Case of the Disastrous Dragon is here!!! Save the fire-breathing dragon or else!!! With courage, there's always hope. Bullied by the other caterpillars because he's afraid of heights and terrified to transform into a butterfly, Bruce runs away. On the road, he finds better friends who understand him, but when Angie is abducted by bats, Bruce is again frozen with fear. Shamed by his own cowardice, Bruce vows to rescue her. With the help of his new friends, he braves the cave. But can one caterpillar, a mockingbird, a jumping spider, and an aging firefly prevail against Stang, the bats' tyrannical leader? Wilhelmina Snodgrass and her family move to the Willamette Valley, Oregon, against her express wishes. Not only is she sure her life is over, but she's convinced she won't make any friends. That is until she meet her eccentric blue-haired neighbor, Thomasina Andretti. 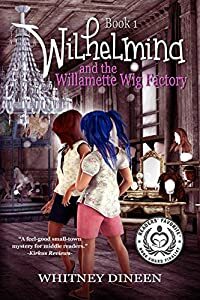 Willy and Tommy become involved in a conspiracy to reopen The Willamette Wig Factory, with their unsuspecting friend, Georgianna Carbunkle. The plot, however, is orchestrated by three of Willy's ancestors, from beyond the grave. Scrapes, mishaps and the unforeseen occur; including becoming sworn enemies with Tiffany Peterson, the most popular girl in the seventh grade, a crush on super-stud, Jamie Armstrong and a mysterious carousel. Willy and Tommy have it all-mystery, revenge and romance. Monteith, Oregon, becomes the stage for adventures beyond their wildest dreams! Gus is a seven-year-old boy who comes from a very large family with eight brothers and sisters. Sometimes Gus feels left out, picked on, or even forgotten by his family. He wonders what life might be like if he had no brothers or sisters, and if he was an only child. On a family camping trip Gus finds himself lost in the woods, left behind by his family. A different adventure takes place for Gus with a strange new friend. Be careful what you wish for…. 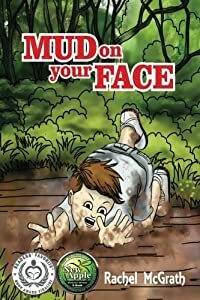 Mud on your Face is a fantasy, adventure story for children, taking the reader through an adventure of ‘what ifs’. What if you got what you wished for? Would you be happy? There is a morale around being content with what you have, and finding happiness. 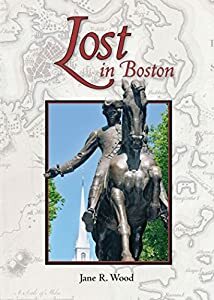 In Lost in Boston the Johnson family is traveling again. This time, they fly to Boston and explore several historic landmarks, including the Paul Revere House, the Old North Church, and the USS Constitution anchored in Boston Harbor. 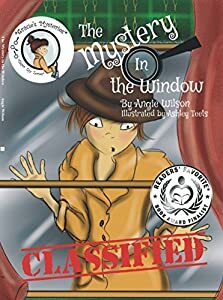 New experiences like riding a subway for the first time, sampling new foods, and helping solve a crime add discovery and intrigue to this newest family adventure. "'Daniel' . . . rises up to join the 'Underpants' series (minus the potty humor, praise God!) and is hailed as the younger sibling of the 'Wimpy Kid' series for the elementary school set. If you're looking for a bedtime read, a book report option, a classroom read aloud, 'Daniel' is it!" 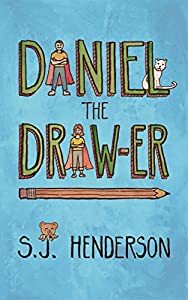 "This is no ordinary pencil," says the cat sitting on the end of nine-year-old Daniel's bed. "It's magic." Everything Daniel draws with his pencil--flying dragons, Octobears, and pizza-loving aliens from the planet Beezo--comes to life. It's pretty awesome until the pencil draws a line between Daniel and his best (and only) friend Annie. Daniel's magic was intended for children ages 6 to 106. The book contains no pictures.